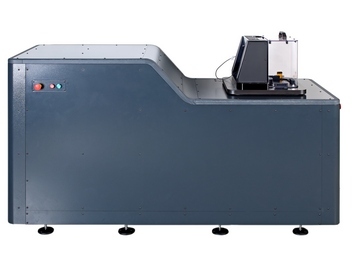 The new J900 Junker Test machine features two load cells that enable optimal test resolution across its truly broad fastener size range, which spans M5 – M45 ISO Metric / #10 – 1 3/4 in UTS. Powered by Vibrationmaster’s patented Variator technology, it can electronically control and vary frequency between 3 and 15Hz and displacement between 0 and ±2mm in real time during testing – this is a key feature when conducting reference testing in accordance with DIN 25201. For a full description of the test machine’s features and benefits, and technical datasheet, visit the Junker Test bench product page. Our second new product in 2012 is the portable J150 Junker Test bench demonstrator able to simultaneously vibration test two fasteners. You can find further details on our Junker Test bench product page.